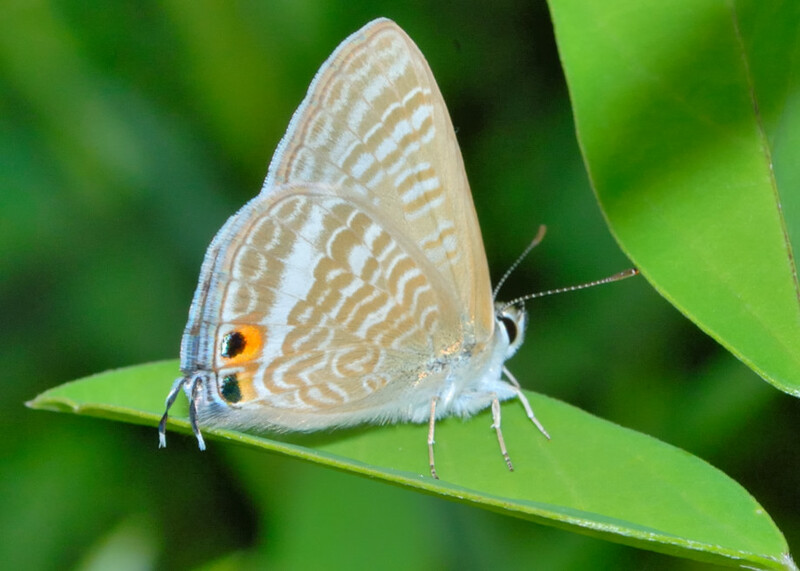 This page contains information and pictures about Long-tailed Pea-blue Butterflies in the Brisbane area, Queensland, Australia. The Long-tailed Pea-blue has a broad white band on the hind wing underside. 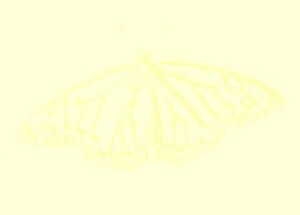 The butterflies have a rapid jerky flight. 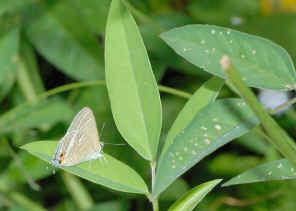 They can be seen near host plants. While at rest, they have a habit of rubbing their hindwings together. Above photo is a medium size Blue butterfly. 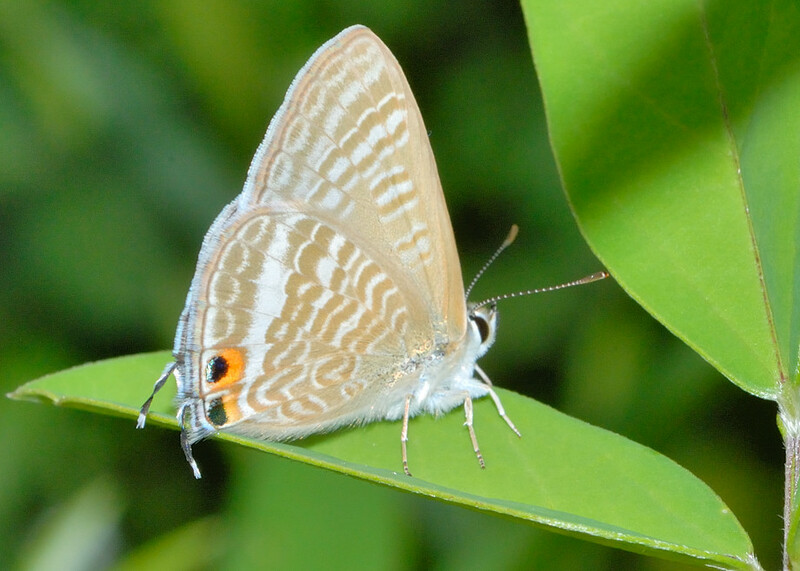 There are many blue butterfly species with plain blue on top side of wings. 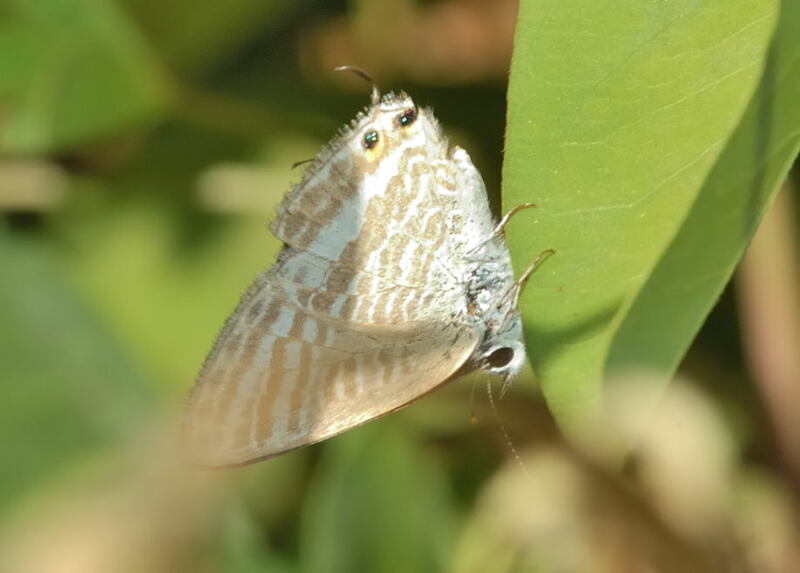 Without the patterns on the bottom side, it it hard to tell which species it is. From the top view and its antenna colour, it look like the Long-tailed Pea-blue. On Mar 2012, in Buhot Creek Circuit near the quarry, we found quit a number of them flying around. 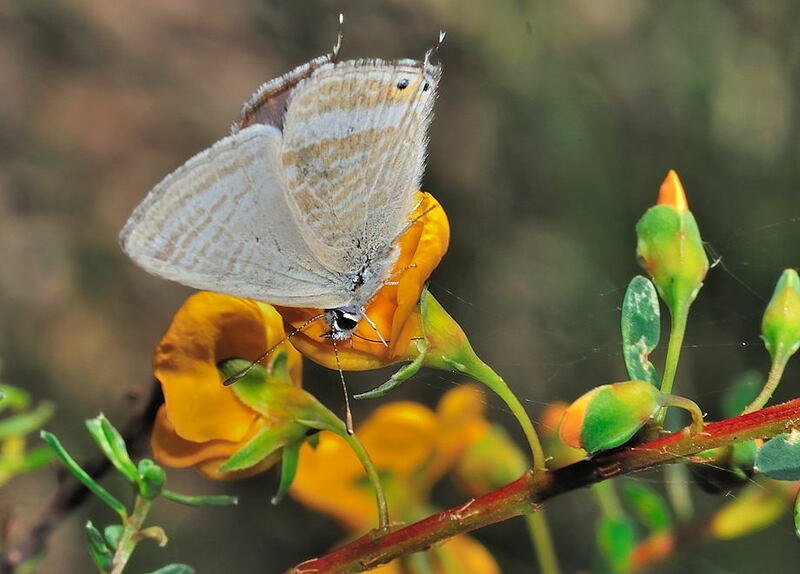 Caterpillars feed on flowers and flower buds of native and introduced legumes in the Fabaceae, include the Wallum Wedge Pea. 1. Lampides boeticus - Australian Caterpillars, Don Herbison-Evans & Stella Crossley, 2005. 2. 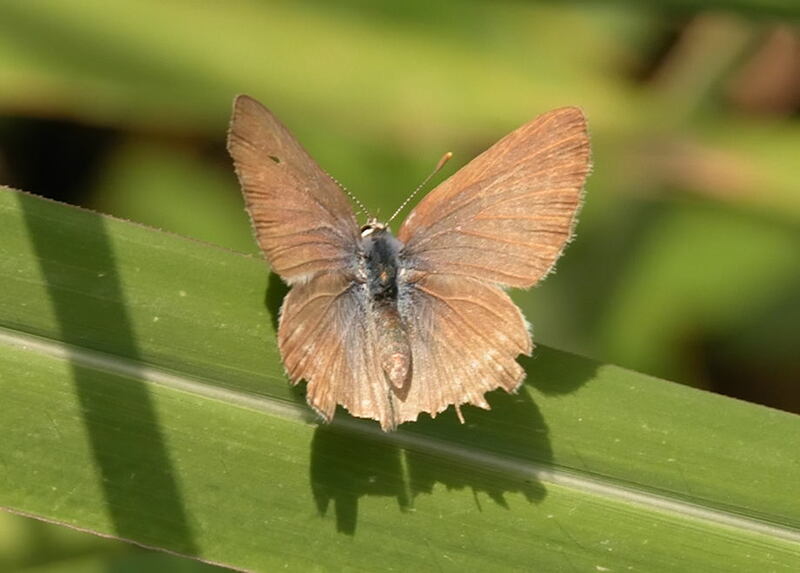 The Complete Field Guide to Butterflies of Australia - Michael F Braby, Australian National University, CSIRO 2004, p294. 3. 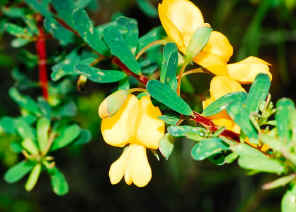 Wild Plants of Greater Brisbane - Queensland Museum, 2003, p75. Last updated: March 04, 2012.